Greetings, to the FAITH-ful flock here at New Port Richey and to anyone else spying out “the new guy”. After a long period in which God guided your church without a pastor, it is good to finally be sharing this with you. Whenever a church gets a new pastor, there is some excitement. 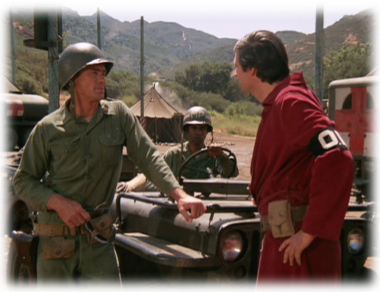 But there is also a bit of apprehension as everyone wonders, “WHO REALLY IS THIS GUY?” Well, there was an old TV show about the Korean war called “M*A*S*H” that ran for almost a decade back in the ‘70’s and ‘80’s. Its final episode remains one of the highest rated drama episodes of all time. 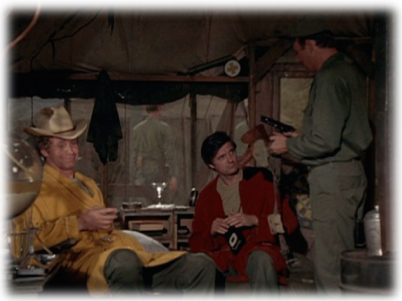 In any case, the star of the show, Dr. Benjamin Franklin ‘Hawkeye’ Pierce, who was one of the surgeons at the Mobile Army Surgical Hospital #4077 (played by Alan Alda) was once given the (hated) task of being “O.D.” or “Officer of the Day.” His job was to deal with all the little episodes and decisions that happen over the course of a day in this military camp/hospital. One of his duties was to screen locals that came in for medical assistance. If they were to be treated for an injury, they were supposed to carry a special I.D. card issued co-issued by the Korean and American governments that included their name and other information. Well friends, if you want to know who I am – I am a transplanted Midwesterner, like many of you. I am a person who preaches the Law and the Gospel, like many who preceded me in the Faith pulpit. I love to laugh and I love to smile – but I also have spent many years serving as a disaster coordinator, where there was often little if anything to laugh or smile about. Very simply, “I’m me”. I’m not someone who walks on water (although that is very easy to do once the temperature dips well below 32 degrees as it has most of the Winter up north). I’m not as young as I once was, but I’ve served God’s people in churches for over 25 years. I love to cook, and am as comfortable in a kitchen as in a pulpit. I now live on a golf course, so I suppose I’ll be using the set of clubs I own again (though please don’t mistake me for a true “golfer”). And my wife, Kathy, is a whole lot better-looking than I am. For whatever else you want to know, I suggest you join us in worship both on Wednesday nights (after a tasty meal) through the month of March, on Saturdays at 5 PM or on Sundays at 8 & 11 AM. A few weeks of that will tell you volumes more about who I am. Most of all, I want to be known as someone who cares deeply for God’s people, be they our own people, or those who we would like to add into our fellowship, hopefully one day soon. And by the way, I might be “me” but do remember that I want to quickly change the reality of who you are. In the beginning, most of you will be “you”. But you all have names, and I hope some day to have them all memorized. But be patient with me and help me out, from one “me” to another. God bless you! It’s good to be here! !